The skills to use a compass came from my maths lessons as measuring angles in Geometry and applying factors passed over as a skill. Though it can seem very daunting, a compass is no more than a device for measuring angles, but people seem to fear it. I’ve always found the best way to teach navigation is the simplest, and not to complicate matters with too much early information. I worked with measuring scales in my early engineering life, which again has transferred onto map reading, and vice versa. I vividly remember taking my Mum and Dad across Kinder Scout as a teenager, armed with an ex military sighting compass from the Army Surplus Store and an Ordnance Survey Map. Here I learned to trust my compass, a skill which still can daunt people to this day. There are certain parts of the world where a deflection can occur, but you get to know these. The magnetic needle really does work. Ever since the Chinese and Lodestone, we’ve crossed the globe trusting a magnetic compass. These are all tangible skills, requiring the use of thought, patience and a little brain power. Unfortunately, the awful ‘C’ word – Convenience. It has crept into life, navigation and everything. I first saw a Global Positioning System (GPS) in 1994 during a Operation Raleigh Expedition to Southern Chile. We were measuring accurate Latitude and Longitude coordinates for a scientific project to measure Plate Tectonics. It was a bulky piece of equipment, very slow and with a huge power demand. Times have changed dramatically, but in the outdoor world, I still think a GPS is an aid, rather than a tool. I spoke of this at a TEDx event in Derby some years ago. The creation of the Mobile Telephone has changed much in our lives. They’re incredible useful and allow a great deal of information to be placed at our fingertips. 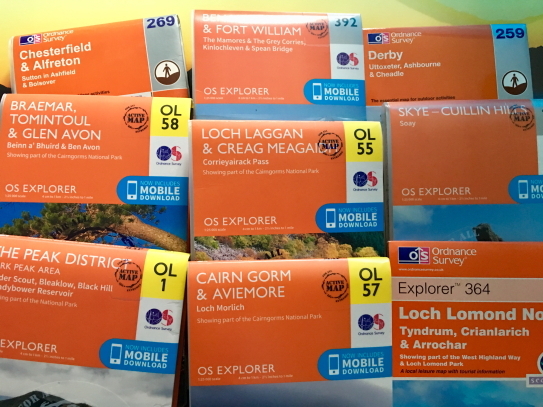 OS Maps and OS Locate are two excellent Apps which allow digital navigation and are very useful when teaching youngsters due to their love of tablet devices. Anything battery operated comes with its downsides however, such as battery life, weather rating, bright sunlight and lack of signal. Last winter I was crossing the Dark peak of my beloved Derbyshire, when I spotted a couple looking confused. I asked if they were ok. Their telephone has a map on it, but the pointer on the screen wasn’t moving as they thought it should. The answer was simple – No signal. I had my map and compass and helped them across the moor, wishing them Godspeed as we descended. Now, don’t get me wrong, I think we need to push onward with technology in all fields, but the fear I hold is the ability to lose core skills which make the difference. Having a GPS or App is ok and they usually work very well, but we need to remember that our minds, eyes, knowledge, skill and that certain feeling we sometimes get, can make a real difference when the chips are down. Understanding aspect of slope, checkpoints and hand railing, will not only get you safely to your destination, but also give you a sense of achievement. 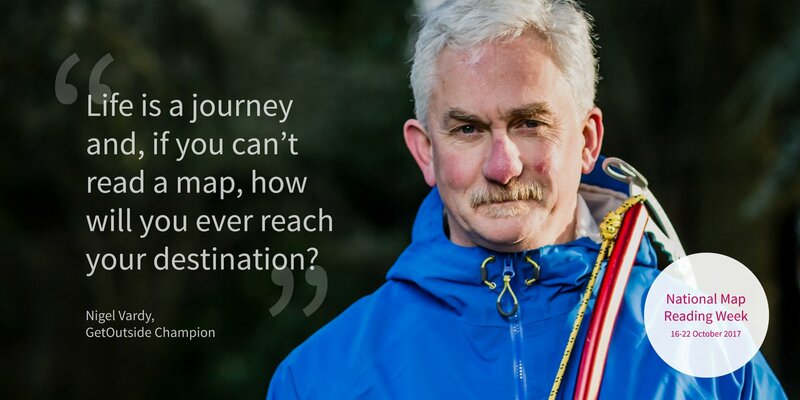 I recently spoke at ‘Peak Assault‘ – a navigation and orienteering weekend organised by Hertfordshire Scouts. It was based in the Rhinogs, and saw literally hundreds of people looking for checkpoints in the hills. Weather conditions were poor and the bog was awful, the smiles were huge. 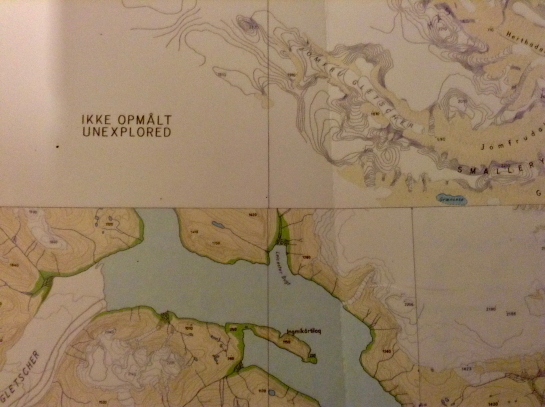 Only map and compass were allowed, with competitors ranging from teenagers to retirees. It was wonderful to see so many people enjoying the outdoors, armed with a simple map and compass. Whatever we learn in life, we need to know the basic skills. I’ve spoken many times about serving your apprenticeship and navigation is no different to anything else. Trust your compass and you can trust yourself, use your brain, open your eyes and discover the beauty that the world holds. Technology is useful, but without the knowledge built on early skills, it’s just another video game with which to show off, bore everyone on social networking, live on statistics and go flat.